Social impairment and communication difficulties Many people with ASD find social interactions difficult. The mutual give-and-take nature of typical communication and interaction is often particularly challenging. Children with ASD may fail to respond to their names, avoid eye contact with other people, and only interact with others to achieve specific goals. 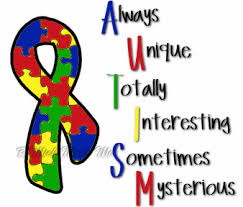 Often children with ASD do not understand how to play or engage with other children and may prefer to be alone. People with ASD may find it difficult to understand other people’s feelings or talk about their own feelings. Repetitive and characteristic behaviors Many children with ASD engage in repetitive movements or unusual behaviors such as flapping their arms, rocking from side to side, or twirling. They may become preoccupied with parts of objects like the wheels on a toy truck. Children may also become obsessively interested in a particular topic such as airplanes or memorizing train schedules. Many people with ASD seem to thrive so much on routine that changes to the daily patterns of life — like an unexpected stop on the way home from school — can be very challenging. Some children may even get angry or have emotional outbursts, especially when placed in a new or overly stimulating environment. The cause of schizophrenia is still not clear. Some theories about the cause of this disease include: genetics (heredity), biology (the imbalance in the brain’s chemistry); and/or possible viral infections and immune disorders. One possible cause can be genetics (heredity). Scientists recognize that the disorder tends to run in families and a person inherits to develop the disease. 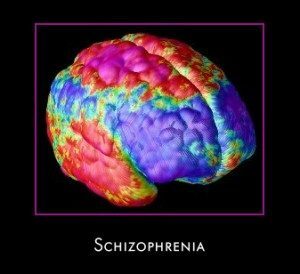 Schizophrenia may also be triggered by environmental events like viral infections or highly stressful situations or a combination of both. 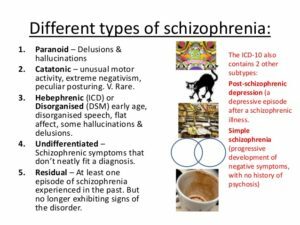 Similar to some other genetically-related illnesses, schizophrenia appears when the body undergoes hormonal and physical changes, like those that occur during puberty in the teen and young adult years. Another possible cause is Substance Use. Some studies have suggested that taking mind-altering drugs during teen years and young adulthood can increase the risk of schizophrenia. A growing body of evidence indicates that smoking marijuana increases the risk of psychotic incidents and the risk of ongoing psychotic experiences. The younger and more frequent the use, the greater the risk. Another study has found that smoking marijuana led to earlier onset of schizophrenia and often preceded the manifestation of the illness. Another high possible cause deals with chemistry. Genetics help to determine huw the brain uses certain chemicals. People with schitzophrenia have a chemical imbalance of brain chemicals (serotonin and dopamine) which are neurotransmitters. These neurotransmitters allow nerve cells in the brain that send messages to each nerve cell. The brain is made up of nerve cells, called neurons, and chemicals, called neurotransmitters. An imbalance of one neurotransmitter, dopamine, is thought to cause the symptoms of schizophrenia. 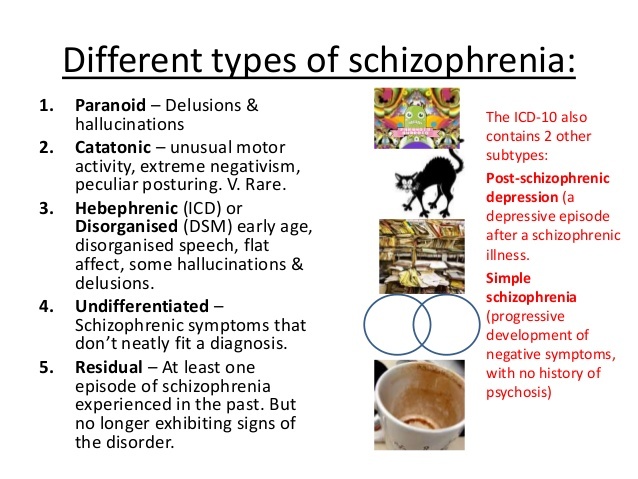 … The “dopamine hypothesis” has been the main theory regarding the cause of the symptoms of schizophrenia. Dopamine is produced in the dopaminergic neurons in the ventral tegmental area (VTA) of the midbrain, the substantia nigra pars compacta, and the arcuate nucleus of the hypothalamus. With the imbalance these chemicals affects the way a person’s brain reacts to stimuli—which explains why a person with schizophrenia may be overwhelmed by sensory information (Ex. loud music or bright lights) which other people can easily handle. This problem in processing different sounds, sights, smells and tastes can also lead to hallucinations or delusions. Part I Raising awareness of both positives and negatives of oxygenation medically and in our environment! 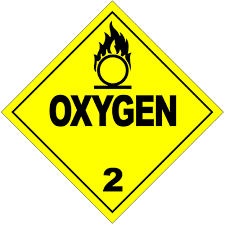 Now don’t get me wrong oxygen is an element that is a must for most creatures that live in the world both now and since it began but there is dangers to any element especially if mixed with some other element causing a negative result in the end. 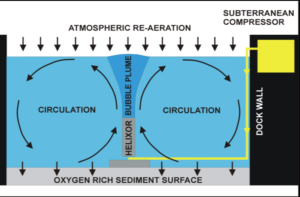 So you wonder how oxygenation can have pros and cons and why oxygen would ever have dangers to it, well let’s take a deeper look. Of course, oxygen has its good points. 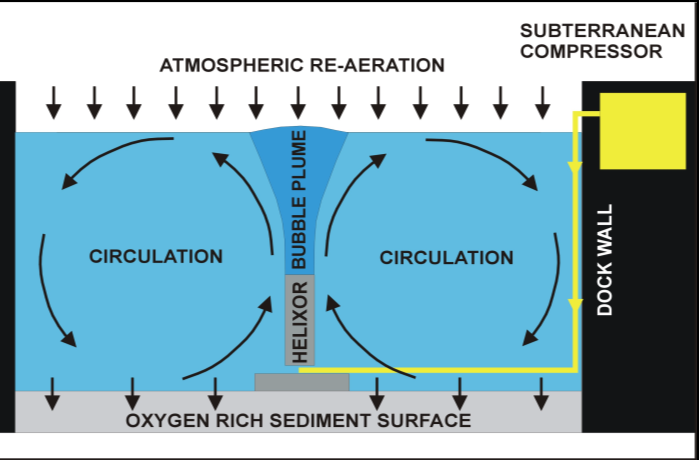 Besides being necessary for respiration and the reliable combustion engine, it can be liquefied and used as rocket fuel. Oxygen is also widely used in the world of medicine as a means to imbue the body with a greater amount of the needed gas. But recent studies indicate that administering oxygen might be doing less good than hoped—and in fact be causing harm. No one is immune to the dangers of oxygen, but the people who might most suffer the ill effects are infants newly introduced to breathing, and those who are clinically deceased. 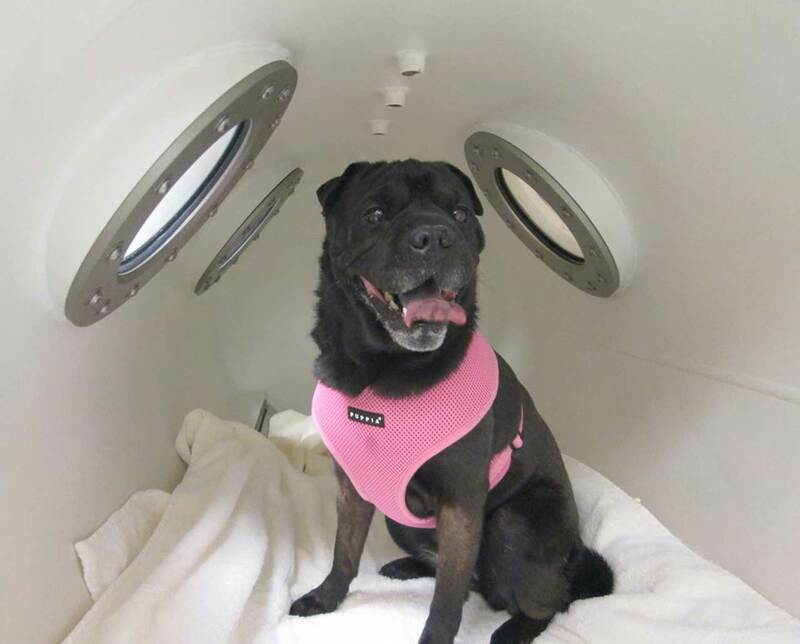 There are a variety of injuries and ailments for which modern medicine dictates oxygen therapy. Look at the medical aspect, the common wisdom is that by filling the lungs with pure O2, one is pushing more of the vital gas into the blood, and thus to organs that are weakened and in need of support. 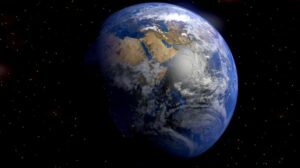 It has also long been known that even at partial pressures, pure oxygen can be toxic—a fact with which scuba divers and astronauts are intimately familiar. Recent studies have indicated that the human body responds to pure oxygen, even at normal pressures, in a negative way. There are circumstances, however, where even the proper mix of gases would prove inadequate. Modern medicine has long taught that after respiration stops, the brain can only survive for six to seven minutes without oxygen before its cells begin to die in droves. In order to combat this, standard procedure has been to aggressively attempted to restore breathing and heartbeat immediately upon cessation, CPR. The base premise on which this protocol is designed may be in error but only if continuing longer than the AHA guides us to do CPR. 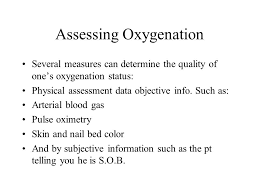 For there is more than just to lack of oxygen in patients who die having CPR done to them for death (Ex Exacerbation of a disease, multi – organ failure, years of CHF, etc… Even thought lack of 02 is part of the reason for the death in the end. 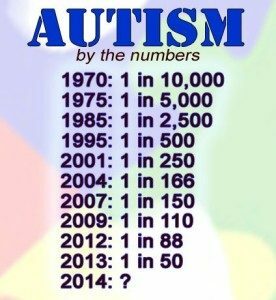 There was a cause for it happening and leading to lack of 02 is the prime entity to death of all diseases leading up to this in a human.). Take a patient with severe emphysema they do get oxygen in their body but the problem is that oxygen gets air spaced elsewhere rather than all the 02 breathed in going in the red blood cells at the lungs exchange for 02 at the bottom of the lungs with CO2 (carbon dioxide) sent from the cells to the lungs to leave the body. Than the cells go off throughout the bloodstream having our tissues utilize from the red blood cells the oxygen it needs (a transfer of 02 to our tissues). Upon return of the red blood cells that took the CO2 from the tissues to keep the tissues more oxygenated, so they can do their function as an organ. Oxygen deprivation to a severe state is Oxygen Starvation to our bodies leading to death, if not reversed. Also with the severe COPD emphysema pt their body adjusts to having high C02 levels compared to a person without emphysema. A normal person’s brain functions to sending messages out to cause us to breath when our 02 level is low but to a severe emphysema pt the low C02 levels causes their brain to send out messages to breath, so if you give an emphysema pt over 2L of 02 for several hours if will turn the brain off and the pt deceases (except when a emphysema pt is in respiratory distress since it is needed and temporary support of higher oxygen levels than when stable and out of respiratory distress their at 2L of 02 again). Part III The Treatment of Parkinson’s Disease. Parkinson’s disease is the second most common progressive, neurodegenerative disease after Alzheimer disease. Parkinson’s disease is named after James Parkinson, a 19th century general practitioner in London. Parkinson’s disease is characterised by pathologic intra-neuronal α–synuclein-positive Lewy bodies and neuronal cell loss. Classically this process has been described as involving the dopaminergic cells of the substantia nigra pars compacta, later becoming more widespread in the CNS as the disease progresses. However, recently there has been a growing awareness that the disease process may involve more caudal portion of the CNS and the peripheral nervous system prior to the clinical onset of the disease.1 Parkinson’s disease affects movement, muscle control, balance, and numerous other functions. MEDS: The combination of levodopa and carbidopa (Brand names Sinemet, Parcopa, Duopa® (as a combination product containing Carbidopa, Levodopa=Rytary® (as a combination product containing Carbidopa, Levodopa). Levodopa and carbidopa are used to treat the symptoms of Parkinson’s disease and Parkinson’s-like symptoms that may develop after encephalitis (swelling of the brain) or injury to the nervous system caused by carbon monoxide poisoning or manganese poisoning. Parkinson’s symptoms, including tremors (shaking), stiffness, and slowness of movement, are caused by a lack of dopamine, a natural substance usually found in the brain. Levodopa is in a class of medications called central nervous system agents. It works by being converted to dopamine in the brain. Carbidopa is in a class of medications called decarboxylase inhibitors. It works by preventing levodopa from being broken down before it reaches the brain. This allows for a lower dose of levodopa, which causes less nausea and vomiting. Medications are commonly used to increase the levels of dopamine in the brain of patients with Parkinson’s disease in an attempt to slow down the progression of the disease. 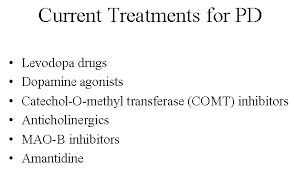 Dopaminergic agents remain the principal treatments for patient with Parkinson’s disease, such as Levodopa and Dopaminergic agonist. In many patients, however, a combination of relatively resistant motor symptoms, motor complications such as dyskinesias or non-motor symptoms such as dysautonomia may lead to substantial disability in spite of dopaminergic therapy. In recent days, there has been an increasing interest in agents targeting non-motor symptoms, such as dementia and sleepiness. As patients with Parkinson’s disease live longer and acquire additional comorbidities, addressing these non-motor symptoms has become increasingly important. Among anti-depressants, Amitriptiline and SSRI are commonly used, while Rivastigmine became the first FDA approved medication for the treatment of dementia associated with PD. 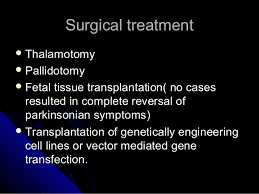 SURGERY: Surgery for Parkinson’s disease has come a long way since it was first developed more than 50 years ago. The newest version of this surgery, deep brain stimulation (DBS), was developed in the 1990s and is now a standard treatment. Worldwide, about 30,000 people have had deep brain stimulation. Lifestyle modifications have been shown to be effective for controlling motor symptoms in the early stages of Parkinson’s disease. The surgical treatment options available for Parkinson’s patients with severe motor symptoms are pallidotomy, thalamotomy and Deep Brain Stimulation (DBS). The novel approaches for treatment of Parkinson’s disease that are currently under investigation include neuroprotective therapy, foetal cell transplantation, and gene therapy. During deep brain stimulation surgery, electrodes are inserted into the targeted brain region using MRI and neurophysiological mapping to ensure that they are implanted in the right place. A device called an impulse generator or IPG (similar to a pacemaker) is implanted under the collarbone to provide an electrical impulse to a part of the brain involved in motor function. Those who undergo the surgery are given a controller, which allows them to check the battery and to turn the device on or off. An IPG battery lasts for about three to five years and is relatively easy to replace under local anesthesia. Although DBS is certainly the most important therapeutic advancement since the development of levodopa, it is not for every person with Parkinson’s. It is most effective – sometimes, dramatically so – for individuals who experience disabling tremors, wearing-off spells and medication-induced dyskinesias. Deep brain stimulation is not a cure for Parkinson’s, and it does not slow disease progression. Like all brain surgery, deep brain stimulation surgery carries a small risk of infection, stroke, or bleeding. A small number of people with Parkinson’s have experienced cognitive decline after this surgery. That said, for many people, it can dramatically relieve some symptoms and improve quality of life. Studies show benefits lasting at least five years. As the nation’s leading provider of Gamma Knife procedures, UPMC has treated more than 12,000 patients with tumors, vascular malformations, pain, and other functional problems. It is very important that a person with Parkinson’s who is thinking of treatment from meds to surgery to possiby Gamma Knife radiosurgery be well informed about the procedures and realistic in his or her expectations. This means there’s no standard treatment for the disease – the treatment for each person with Parkinson’s is based on his or her symptoms.